I always tell my husband that if I will be given the opportunity to travel, I would start with the places in the Philippines, beginning with its famous landmarks. And then I would revisit those places that I’ve been in the past, but never had the chance to explore. Next stop is to see the world, visit my dream places abroad and experience what it’s like to live in a foreign land. I’d like to see so many great places, but for now I’ll content myself with admiring them through photographs. The Lions Gate Bridge is no exception. I find this place beautiful and I’d like to see it one day. 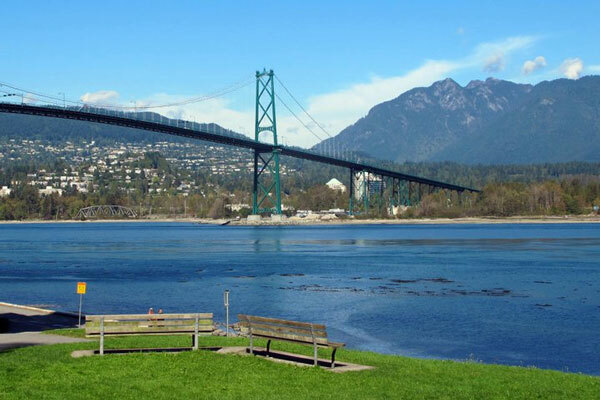 The Lions Gate Bridge (First Narrows Bridge) is a suspension bridge found in Vancouver, Canada. Thanks Ron Mallari for the photograph. This entry was posted in Travel and tagged dream place, lions gate bridge, suspension bridge, vancouver canada on April 2, 2012 by Yami.